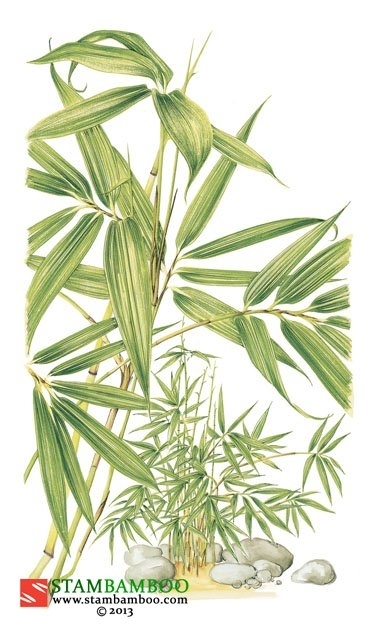 The great Victorian bamboo enthusiast, A.B. 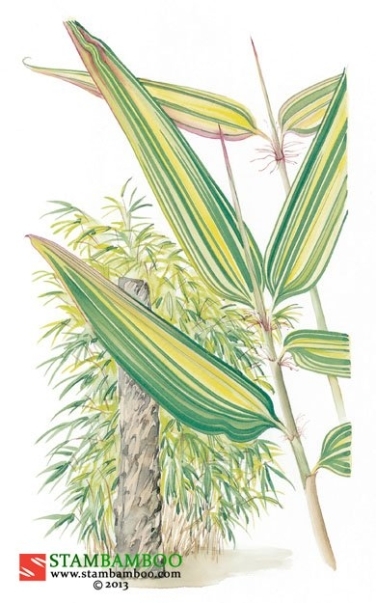 Freeman-Mitford chose “nitida” (meaning bright, shining or glittering) as the species name for this medium-sized dainty plant because it was “appropriate to its brilliancy and beauty”. 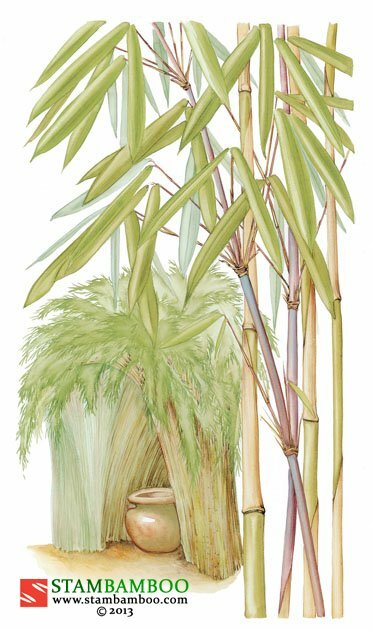 We too think it is a jewel amongst bamboos, with closely-spaced, near-purple, slim culms weighed over with a froth of fine, lustrous leaves. 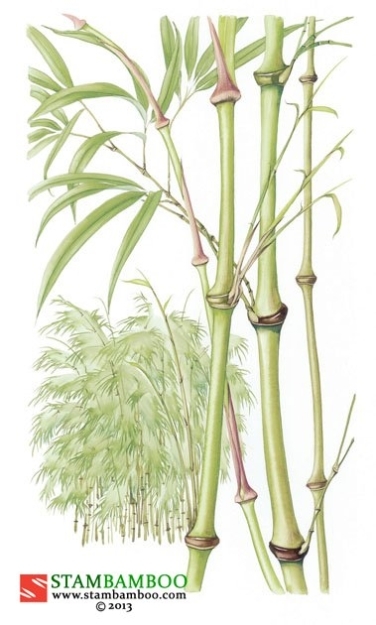 The new culms do not leaf up until their second year and the vertical young canes rise proudly through the foamy foliage. 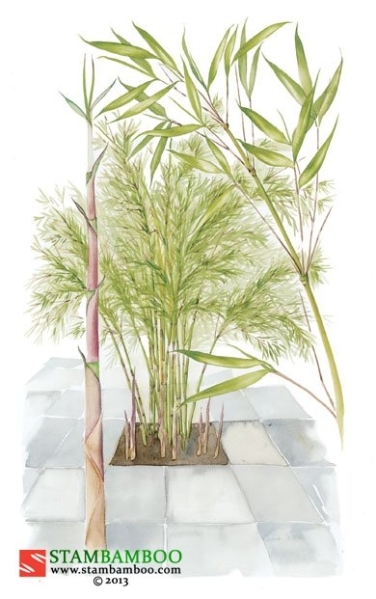 The Fountain Bamboo’s delicate appearance belies its extreme resistance to cold: we understand that it is grown successfully in Norway and Sweden. It is best in a shady or dappled position: when exposed to full sun, the leaves curl inwards, unfurling again when shade is restored. Grow it as an elegant screen, or on its own as a beautiful specimen.